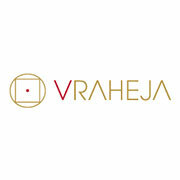 V. Raheja is an owner and developer of real estate in India. For over fifty five years, the company has led the evolution of Indian real estate development practices while building homes, hospitals, schools, offices, IT parks, malls and hotels across the country. Set new standards in urban design, while promoting a balance between function, beauty and sustainability. Use the best quality materials and the most relevant technology & maintain a clear and transparent approach to deliverable schedules and deadlines Working with notable partners such as SOM, KPF, Site Concepts, Bill Bensley and Vladimir Djurovic Landscape Architecture. V. Raheja continues to create projects of the highest quality, aesthetic relevance and enduring value across India.